Blustery conditions with winds in the 25-45mph range will continue across the west this week as high pressure builds. Winds die down over the weekend with gradual warming into next week. Temperatures cool slightly to seasonal norms across Mexico this week with gradual warming next week. 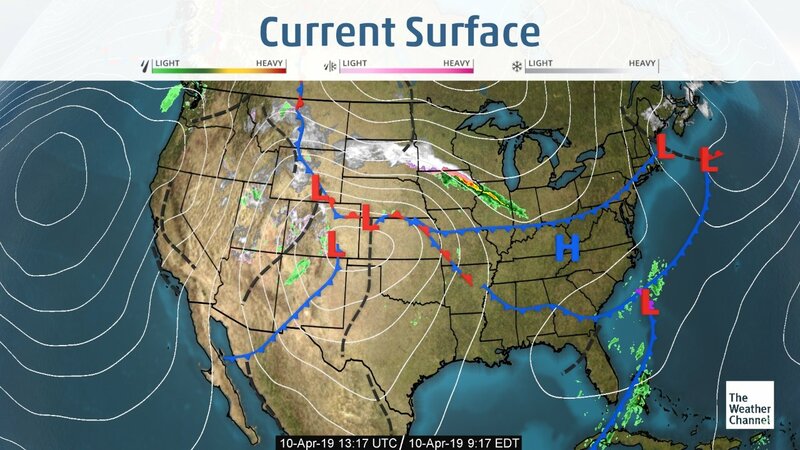 Warm and humid conditions look to continue across Florida as a trailing cold front brings a chance of light showers over the weekend. Dry and warm conditions return early next week. California and Yuma trucks remain plentiful again this week. Washington apple trucks are ample as well. Idaho potato and onion trucks remain steady. 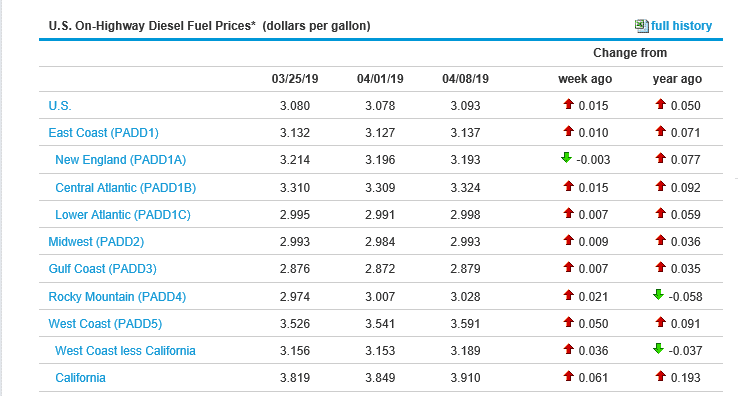 The national average on diesel is up slightly this week and is currently at 3.093 per gallon. California prices are on the rise and are now up to 3.910 per gallon, a difference of .061 from last week. Crude oil prices went up slightly and are currently at 64.17 per barrel. Avocado (Mexican): Current market conditions remain active and high throughout the month of April. We are seeing less fruit crossing into the US from Mexico as there are major delays at the border. Grapes (Green): Green grapes will become increasingly limited moving forward. Market prices are climbing. Onions: Quality from Northwest will show translucency towards end of storage crop. Stone Fruit: Peaches and Nectarines are finished, Plums will last through the end of the month. Tomatoes (Western): There are 2 political/economical influences to consider in both the immediate and consequential markets, spanning the next 30 days; The impact of reduced Customs personnel at the US-Mexico border, and the termination of the current Tomato Suspension Agreement. Grapes (Red): We expect Mexico and Coachella to start production by mid May. 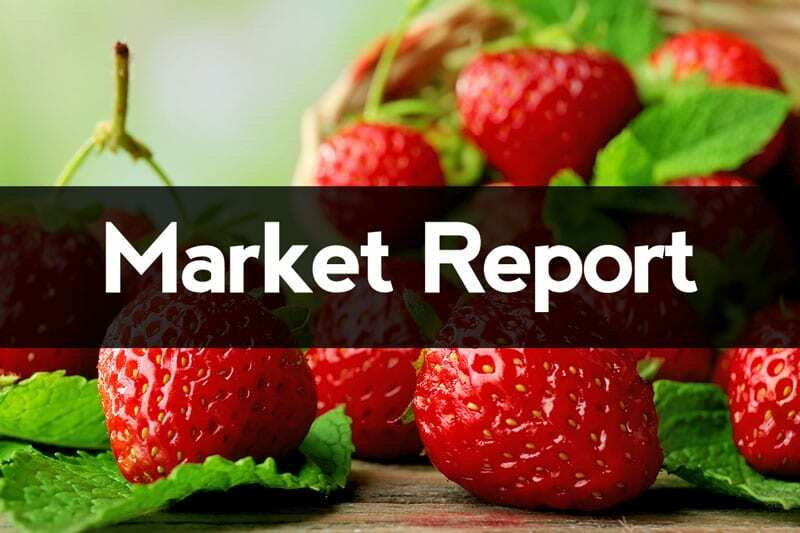 Berries (Strawberries): Salinas and Watsonville have begun producing limited numbers which will add to the volume being produced by Santa Maria and Oxnard. Stone Fruit: Domestic production is expected to start late April.